Sydney, Australia 18 May 2016 - CADDIT announces the release of progeCAD 2017 Professional on the website for immediate download. progeCAD is a flexible general-purpose CAD drawing program that is used in a wide range of industries, including architecture and building, fabrication, landscaping, strata management, mechanical design and many more. progeCAD is the long-standing low cost alternative for AutoCAD® and AutoCAD LT® software in Australia. progeCAD 2017 still offers perpetual licenses (no rental, no annual subscription is required) and is tested for compatibility on all major Windows platforms from 7 through Windows 10, both 64-bit and 32-bit versions. 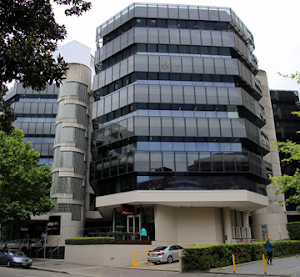 2016 marks the tenth year of progeCAD availability in Australia and New Zealand and the ninth year of their partnership with CADDIT in the region. It is fitting that for such an occasion we offer the most significant release of the program. progeCAD has long offered low-cost CAD software with the purpose of being as highly compatible with AutoCAD as possible. 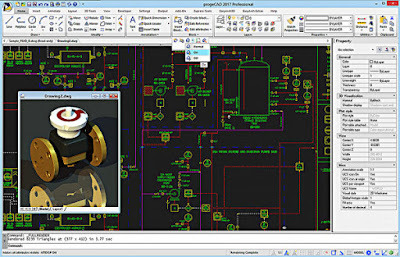 progeCAD has long offered advanced AutoCAD-like functionality in the areas of 2D and 3D CAD drawing using similar commands, icons and user interface. progeCAD supports all AutoCAD-native file format DWG versions from the newest 2017 version to very old. This year progeCAD will offer a native x64 (64-bit) environment while continuing to support x86 (32-bit) processors as well. Significantly, progeCAD 2017 offers a 1.5x - 3x performance improvement through use of multicore CPU processing as well. CADDIT now offers trial users the choice between 64-bit or 32-bit CAD download versions. All progeCAD 2017 licenses from CADDIT, including single stand-alone, mobile USB and company network licenses, will now conveniently work with either the 32-bit or 64-bit versions. progeCAD 2017 offers users other new choices as well. Users can select, on first-time start up of the software, to use either the new ribbon-UI based interface or the legacy toolbar environment. Additionally, progeCAD 2017 now supports the newer AutoCAD® CUI user interface customization format. progeCAD 2017 offers better support for Microstation users with improved .DGN file import and underlay support through use of updated libraries. progeCAD also works with more AutoCAD® applications by introducing support for Civil3D, ADT and MDT extension formats. 3D scanner point cloud data is also now directly supported in progeCAD for either the Autodesk .PCG format or the Ambercore .ISD format. Other scan formats such as LIDAR and XYZ can possibly be converted to .PCG by downloading the Autodesk ReCap 360 tool. Updated programming interfaces for developers now includes a supported .NET API. Current iCARE subscribers and those participating in our recent free upgrade promotion will begin to receive their progeCAD 2017 serial codes in the next several days. Users of previous versions of progeCAD can order the appropriate upgrade for them from the CADDIT progeCAD upgrade price list. There is much more to be said about the new progeCAD 2017 release, including dozens of other new commands, variables and improved functions (such as the 3D rendering) which can be explored by downloading the software for a free 30 day trial from CADDIT. We are very excited about this release and hope that many users will benefit form the hard work invested in this version of progeCAD. Any questions about general features of progeCAD can be directed to CADDIT via the CONTACT US page HERE.